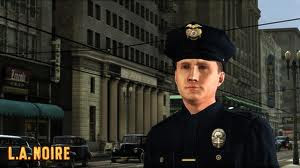 LA Noire is a cool game Published by Rockstar Games and developed by Team Bondi, setting take time after world war II of course in Los Angeles. we have many tricks, and this is trick for LA noire chase scene. Any time chasing a suspect on foot or in a vehicle, what you have to do is hold the Camera button, the focus one (it's B button on Xbox 360, or CIRCLE button on PS3), this will keep an eye on your prey. Now you will find that chase scenes is much easier. Then When you get close to a suspect on foot, you can press the Tackle button several times (button A on Xbox 360, on button X on PlayStation 3) to tackle the suspect.